Join us along with your beloved (or bestie) for a two-night stay throughout March and April and take up to 20% off! Enjoy complimentary breakfast as well as a bottle of Garry Oaks Pinot Gris and chocolates waiting in your room. Settle into stunning scenery and relaxed ambience, without the summer crowds. Stay any time of the week, with unique rates available Friday-Saturday and Sunday-Thursday. 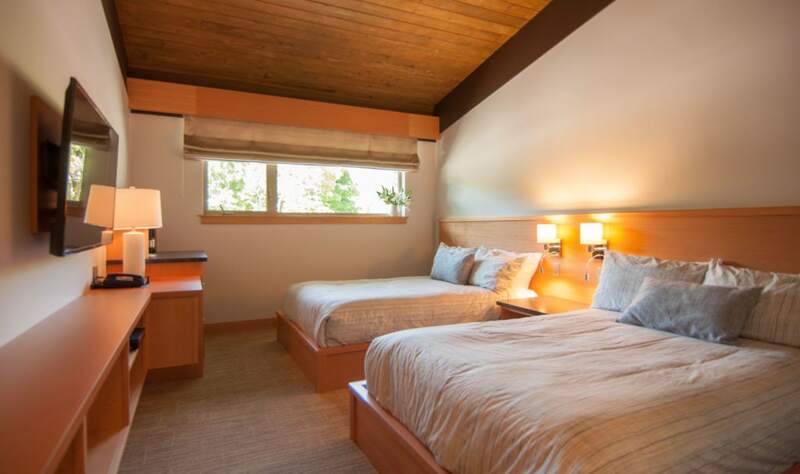 Immerse yourself in the newly-renovated comforts of Salt Spring Island's premier hotel destination, and keep some extra walking-around money in your pocket for the shops and attractions of Ganges Village just steps from our door. 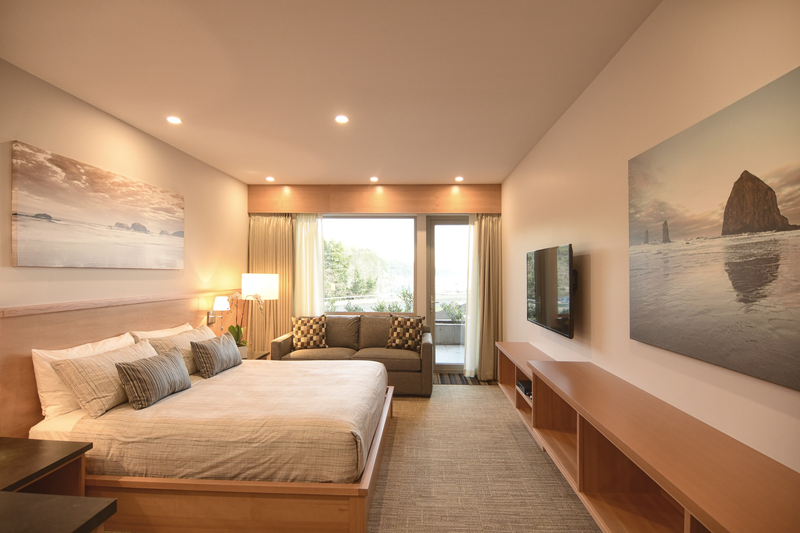 The Harbour View Deluxe sets a new standard on Salt Spring Island for tasteful elegance. 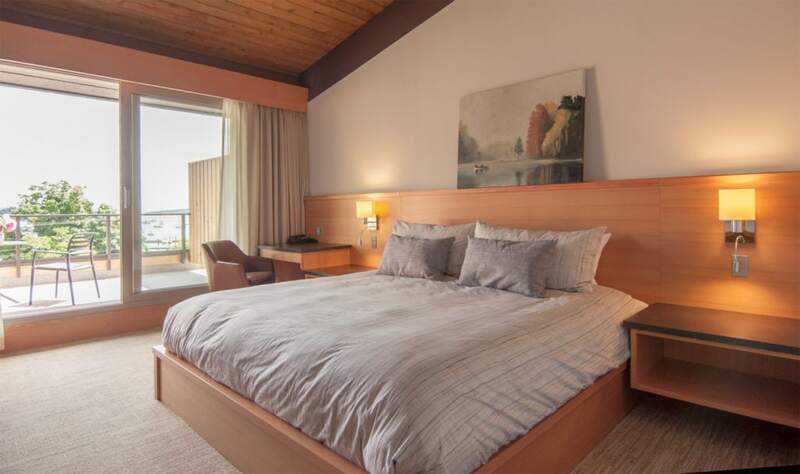 Relax in comfort while taking in the expansive views of Ganges Harbour and the Salish Sea beyond. Better yet, enjoy the view alfresco on the large furnished walkout patio. 50" Smart TV, fridge, coffeemaker. King-sized bed. Standup shower. Air-conditioning. Sporting a pair of double-xl beds, the Farm View Deluxe is the perfect choice for those travelling together, but not...together (and for the light-sleepers). Facing out over the historic Crofton farm site, the feeling is Salt Spring through and through. Appointments include a 50" Smart TV, fridge, coffeemaker. Standup shower. Air-conditioning. Showcasing spectacular views of Ganges Harbour and the Salish Sea, these large open plan accommodations are sure to impress. Located on the ground level, Patio King rooms feature their own extra large private patio ideal for entertaining friends or an intimate dinner for two complete with your own ocean view. Our one of a kind room, stunning Salish Suite. This unique corner suite showcases the best view of Ganges Harbour the hotel has to offer. Overlooking the sparkling Salish Sea this suite is ideal for special occasions, anniversaries and as a bridal or honeymoon suite. 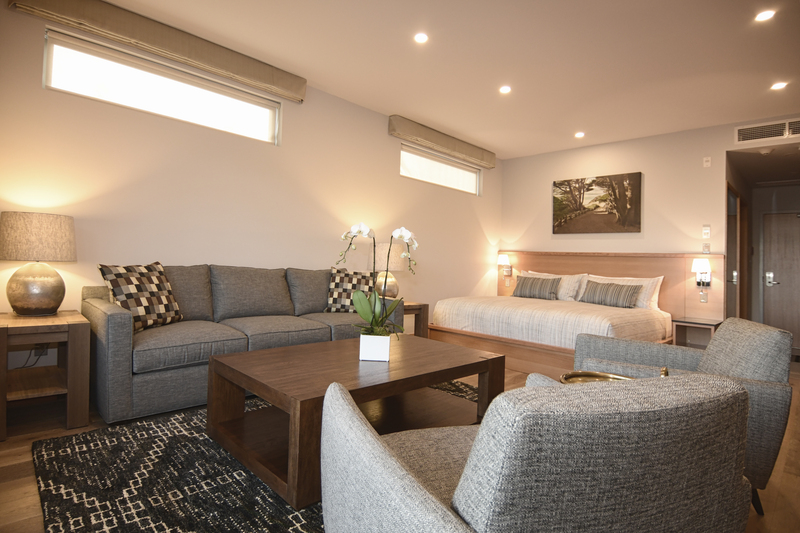 Encompassing a King size bed, large living area and spacious outdoor patio the Salish Suite is guaranteed to provide an unforgettable accommodation experience which is authentically Salt Spring Island.